Ask people to picture a Civil Servant, and I wonder how many still think of Sir Humphrey, or, in HMRC’s case, of Hector the tax inspector. But the Civil Service has transformed over the years, and – thankfully – we now look more like the population we serve than ever before (and very few of us wear a bowler hat to work!). Becoming a more modern, diverse organisation is good for all of us. There’s plenty of evidence that more diverse employers make better decisions, and it certainly makes sense to me that having a wider range of voices and experiences around the table leads to a better, more comprehensive discussion. Colleagues in DFID have been working on this issue and have evidence that unconscious bias and a lack of diversity seriously affects the quality of decision-making, for example by encouraging 'group think'. Sir Jeremy, Sue and Melanie have all blogged recently about the importance of socioeconomic diversity, and I completely agree that it’s not good enough that only 38% of the SCS is female, just 4% declares a minority ethnic background and only 3% has a disability. In this blog, though, I’d like to talk about professional diversity. I don’t believe in the idea of a ‘perfect’ Civil Service career path. There are certainly well-trodden routes, but I think we need to look beyond these to find talent wherever it exists. Until recently, it was strongly felt that to become a Permanent Secretary you needed to join the Civil Service through the Fast Stream and spend some time working in a minister’s office. But, as we can all see from the diverse makeup of the Senior Civil Servants, we have excellent directors, Director General's and Permanent Secretaries with private sector backgrounds and important professional skills, such as accountancy. I think that we should encourage all of you to think about your careers in terms of the skills you’ll need, rather than the paths that others might have followed. We know our future will require new and emerging skills in areas like digital, commercial, finance and project management. All these skills, if combined with experience of strategic and leadership skills, should stand you in good stead to carve a route to the top. We need to be open to you developing these skills in a range of ways. As a manager, I do know that it’s tempting to keep hold of our best people, but I really think we do you an injustice if we don’t encourage you to try different roles in different parts of the Civil Service or the public sector. Secondments can be a great way of achieving this – and they’re already built in to the structure of our Fast Stream – but I think we also need to be open to people leaving us for longer periods where this is the right thing for your career. As the Leadership Statement says, all Civil Service leaders need to: "Champion both difference and external experience, recognising the value they bring". So, what does this mean for the future of the Civil Service? I’d like to see a more diverse, more open organisation which values different experiences and encourages varied career paths. Our new approaches to entry schemes and the recruitment of many more apprentices will help with this, as will the continued development of a wide range of talent programmes. I’m confident that we can make real progress in this area and I know that it will benefit all of us, and the people we serve. But, no matter how much we’ve changed, for some people HMRC is still inextricably linked with Hector. 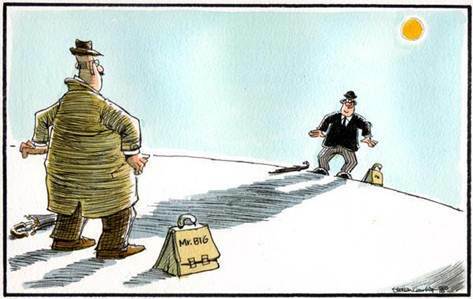 Just last week, a story in The Herald about our collaborative working to tackle organised crime was illustrated by a standoff between Hector and the rather ominously named ‘Mr Big’. So, while he might be associated with our past, I’m not sure he’ll ever be forgotten. Thanks 'Hector'. You're absolutely right, of course! Duly corrected. Even Homer nods. I read the Herald article with interest. As an HMRC employee in NW England, I wonder if similar cross agency arrangements are in place in the rest the UK? I know that there is some joined up stuff with, for example, the Labour Providers Unit in HMRC ( think it's called something else now) and Immigration Service and our links with DWP, but what about tackling high end criminals a la Gartcosh? Where does the NCA fit in? I'd like a statement of exactly what percentage of women in the SCS is considered appropriate (let's say 50%) - and at that point any extra help will stop... and that if it increases more to than 50% you will then begin to discourage any further increase in women just the way you are presently doing with men. In the interests of fairness and balance of course. We wouldn't want the same situation you see in Universities and certain jobs - teaching for example, where overt action was taken against men and in favour of women until there were basically no men left. This seems to chime with the recent piece Jon Thompson did. I think a key part of seeing the Civil Service putting its money where its mouth is, will be when we see people who act differently, channel their ideas differently and who engage in ways which are not familiar in the Service, are given the same platforms are others. Diplomacy skills are great in most cases, for example, but when we are custodians of £600bn+ of public money and in the highly political space in which we operate, we need people who can speak out, to make sure it is allocated in the most appropriate ways. In a corporate, you can be sure that people would be held to account for waste if there were alternative, more productive uses for resources. Indeed the idea of a wider professional base at the top (rather than just policy and private office experience) may bring about a welcome move towards more corporate-esque behaviours where they are most needed). It is difficult, however, to see how one can climb the ladder without being a 'yes' person or toeing the 'corporate' line. If you stick your neck out, what are the chances you'll be given a box 1 marking or come first in line for promotion? I have been a PA for many years working at Director and Director General level. The common theme is that they have been educated at either Oxford, Cambridge, Oxford, Cambridge... Seems to me a well trodden path that has shown no signs of diminishing over time. Happy for analysis to show otherwise! It would be good to see this kind of thinking backed up by some concrete action. For example, do Departments have in place career break policies that would allow people to go out and seek wider experience - and how are they managing this in a context of pressure to manage down headcount? I'm not sure HR policies are all keeping up with the rhetoric about diversifying experience... We also need consistency across the civil service about policies for loans and secondments to other departments. Some won't let anyone go on loan (has to be permanent transfer) and some will only offer roles outside the department on loan. So following your skills to create your own path is going to be a lot harder for some than for others! • “They join the Civil Service at an exciting time” – what is exciting about it? It is shrinking in size, staff t&c’s are being eroded and take home pay is the same as 2010. • The Civil Service “must continuously adapt and evolve” – the Department that I joined over 20 years ago has been continuously adapting and evolving in that time, but rarely are the changes given time to bed in before they are superseded. There are so many changes going on, that staff are left bewildered by poorly thought out systems and then left struggling to provide the service that the public expect. • “New skills relevant in today’s world, from digital and information technology to new leadership and management skills” – I can appreciate that school leavers can bring fresh insight into IT, after all they have been educated in it for at least 14 years, whereas many existing civil servants were dissuaded from using IT for more than what their actual duties required. Additionally, without any clarification, I fail to see what a school leaver can bring in the way of “new leadership and management skills” to someone of Lin Homer’s experience. • “A great example of how quickly the Civil Service can implement change successfully” – this is balanced by the numerous changes that have been implemented badly e.g. Caseflow. 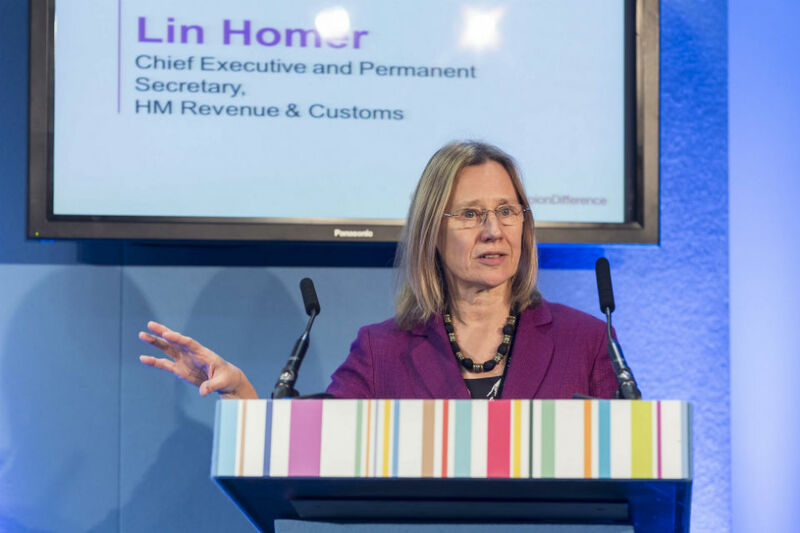 • “The apprentices have big ideas and will bring a new energy to the Civil Service” – when I joined the Civil Service, I had big ideas and new energy, but 20+ years of work place reality have worn that down. • “It has certainly been valuable to me and my private office to have Olivia and Dom working alongside us and I know they are learning a lot as well as teaching us new things.” – again some actual examples of the new things have they been teaching you would help? • Their duties “can include liaising with ministers’ offices and foreign embassies, helping the HMRC Executive Team to modernise with greater use of technology or even drafting a blog for the Cabinet Secretary’s page!” – in my job I have to liaise with Finance Directors, lawyers, accountants, senior civil servants etc on complex areas of tax law, but I don’t seem to command the respect and esteem that the apprentices do. • “Lin, in her speech, emphasised that all Civil Servants should challenge the way we work today and be sure to ask those difficult 'why' questions in order for the Civil Service to continuously improve and transform.” – if we are encouraged to challenge the way we work, then why have the concerns and suggestions about Departmental systems that I and colleagues have raised, been ignored? I think that people are developing the skills in commercial, financial and digital areas but what needs to catch up with this is the process for promotion to the SCS. It is still very much in favour of the wider generalist (fast stream) model. It needs to adapt too.